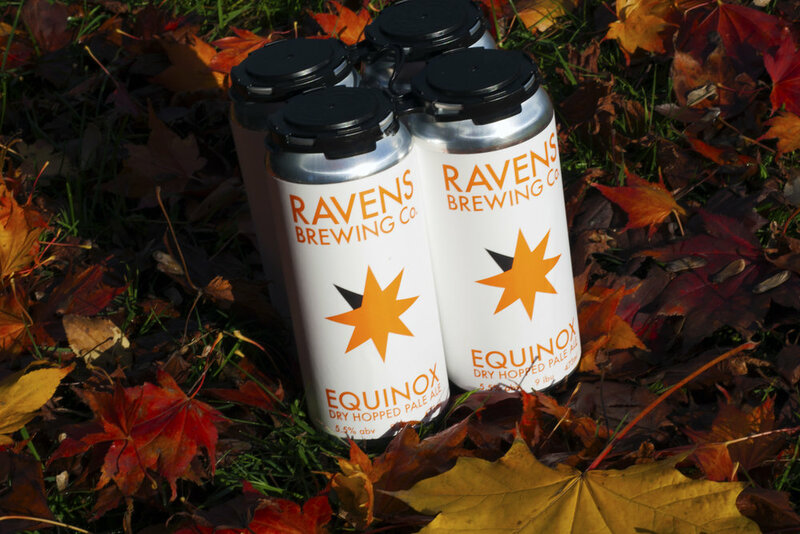 Ravens Brewing & Distilling Company is introducing The Conspiracy. This limited opportunity is for the ultimate craft libation fan. Bringing together our brewery and distillery operations to offer a limited and exclusive beers and spirits. Taking inspiration from our modern, award-winning, Corvus Lingonberry Lime Gose, we decided to go back to basics and create a traditional Leipzig-style Gose. This sour wheat beer features coriander and pink Himalayan salt, which give it that signature Gose character. Super chocolaty and malty milkshake with our Dry Irish Stout. The perfect way to celebrate St. Patrick’s Day. Celebrate & enjoy the best of the Fraser Valley with live music, craft breweries, local food vendors and much more right outside the wooden walls of the Fort Langley National Historic Site! Admission to the Fort is included in your ticket so come early or make a weekend of it and explore what Fort Langley has to offer! Combining two worlds into one, the bright, juicy tropical flavours and aromas of Mosaic and Amarillo hops are presented alongside a delicately roasted Kenyan coffee which provides caramel, grapefruit and blackcurrant characteristics. With an assertive bitter back bone, this IPA is unexpected, but deliciously satisfying. For our second visit to Hopwired in Vancouver we were paired with Rooftop Coffee Roasters out of Fernie BC. We developed a unique Coffee Belgian Wit called Buna Wit for this event. Dark roasted flavours are at the forefront of our Dry Irish Stout. A smooth, enjoyable balance between a slight espresso character and a crisp bitterness, with a pleasant dry finish. Our take on a pub classic, and an excellent addition to any West Coast adventures yo come across. A Gose is a sour, salty, wheat beer and our take on it builds on that intriguing base. Using tart, red lingonberries along with lime compliments the acidity. Using Mosaic hops in the boil and fermentation creates aromas of tropical and stone fruit. A moderate bitterness rounds out the flavour creating a full bodied easy drinking beer. Corvus Lingonberry Lime Gose has made it's way into cans! Corvus has become a member of our Core Lineup this year, meaning it will be available year round. Add beef, cook 5 min. Drain liquid. Add remaining oil, onion, saute 6 min. Add garlic, saute 1 min. Add chili powder, cumin, oregano, cinnamon, cook 2 min. Add tomatoes, honey, peppers, black beans, red kidney beans, return beef to pot. Stir in lime juice, cilantro before serving. Are you a Fraser Valley based artist looking for an opportunity to showcase your artwork? Ravens Brewing is looking for local artists to take part in our first ever Gallery Night. Artists will be given an opportunity to display and sell their artwork at the brewery. We are hoping this event will help artists grow their careers and expose the public to the amazing talent that we have in our community. Artists keep 100% of the sales of their work and there is no gallery fee for them to use this space. For the public, it’s an opportunity to view and purchase some unique artwork. The evening will feature unique food and drink specials as well. The first Gallery Night will take place on Thursday, February 28th from 6-9pm. Dry Irish Stout is returning soon. 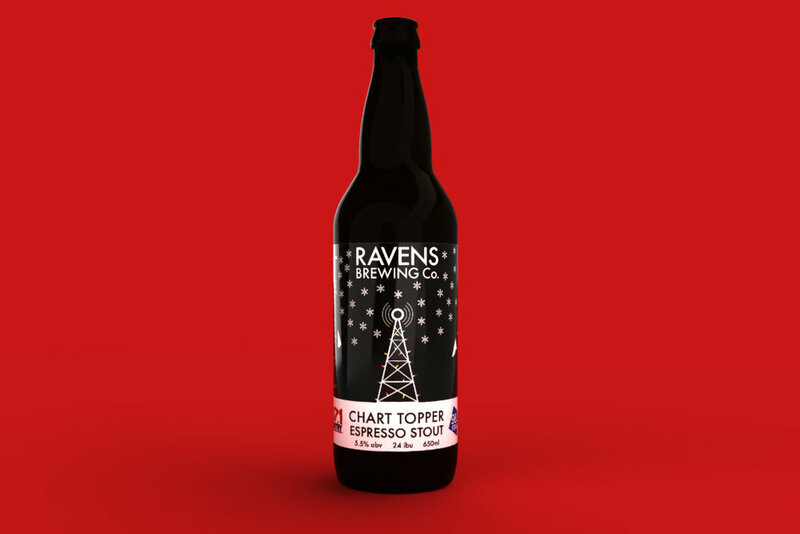 This beer has been a staple of Ravens since the early days, winning back to back Judge's Choice Awards in the Stout/Porter Category at Okanagan Fest of Ales in 2016 & 2017 and 2nd Place in the Irish/Scottish Ales Category at the 2016 BC Beer Awards. Look for it in 473ml Cans later this month. Deep toffee and malt aromas, with hazelnut and dark roast undertones, our English Dark Mild is hardy yet sessionable. Delicate UK Fuggles hops add a hint of grassy earthiness, giving this brew a more traditional characteristic. We teamed up with Country 107.1 & 98.3 Star FM to bring you the Chart Topper Espresso Stout, brewed using locally sourced espresso from Smoking Gun Coffee Roasters. Bold coffee flavour compliments the rich, malty body of this dark, warming winter beer. Partial proceeds from the sale of this beer will go to benefit Canuck Place Children’s Hospice. Chart Topper Espresso Stout is available December 3rd! Hot Chocolate Porter Is Here! Rich silky dark chocolate flavours are at the forefront of this robust porter. Hints of vanilla, a creamy and decadent malt body make this porter a delicious, grown up version of a winter treat. 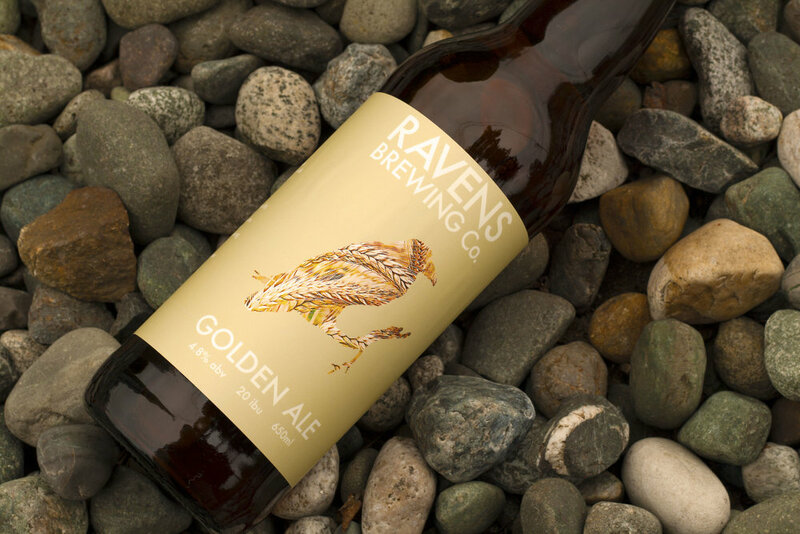 Ravens Brewing Company brought home two awards at the 2018 BC Beer Awards this past Saturday, October 20th. Coming in 3rd Place in the American Blonde Ale category was our Golden Ale. The Golden was the first beer we ever brewed and we brought it back as a seasonal brew this year. 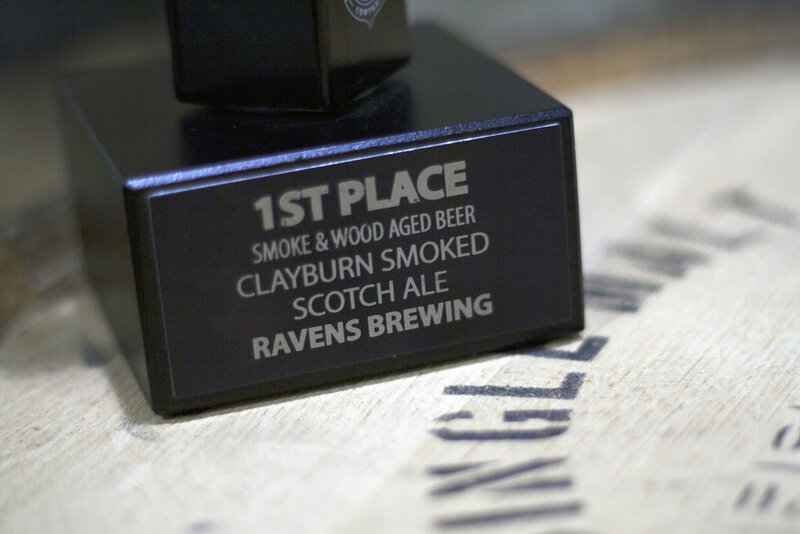 Coming in 1st Place in the Smoke and Wood Aged Beers category was our Clayburn Smoked Scotch Ale. 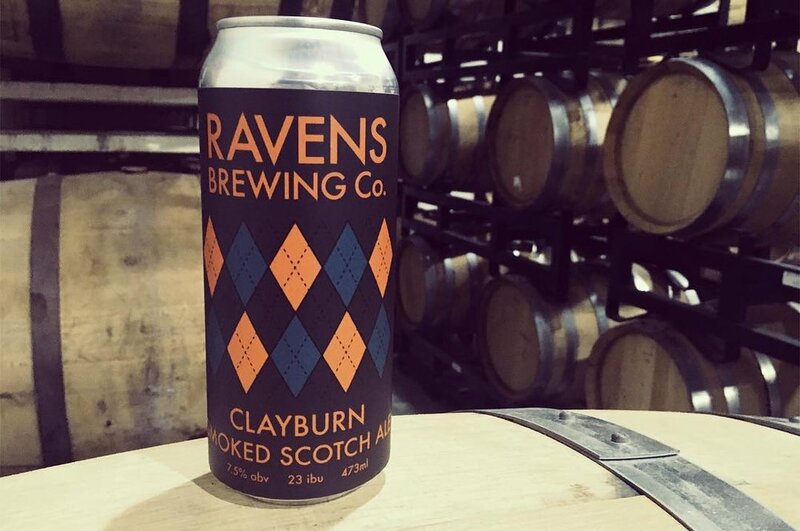 The Clayburn was the first beer Head Brewer Dan Marriette brewed at Ravens, way back when he was just an Assistant Brewer here. Going back even further, it was based on one of his old home brew recipes. It’s been a long journey for this beer and we couldn’t be happier to see it take home the gold. We are very proud of both of these beers and it’s nice to know that other people like them as much as we do! We are looking forward to bringing them back in the future. The Hot Chocolate Porter is coming back! The holiday favourite makes it’s return early this year. It will be available in 650ml Bottles and on Tap at the brewery on October 26th. Look for it at your favourite liquor store.